A local high school will host a memorial soccer game in honor of a slain police officer. 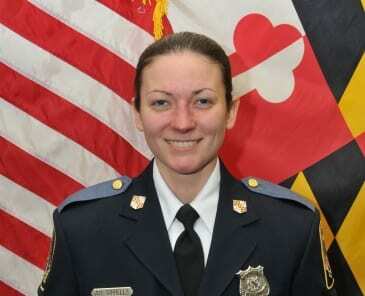 Officer Amy Caprio was slain while on duty in the Perry Hall area in May. Loch Raven High School will host a memorial soccer game vs. Parkville High School on Wednesday evening at 6 p.m. Officer Caprio was a 2006 graduate of LRHS. In addition to playing soccer, she was very involved in many clubs and activities during her four years at Loch Raven. The event will feature a jersey dedication at halftime, courtesy of BSN Sports. All donations will go to support the Fallen Officers Fund. Loch Raven High School is located at 1212 Cowpens Avenue in Towson (21286).